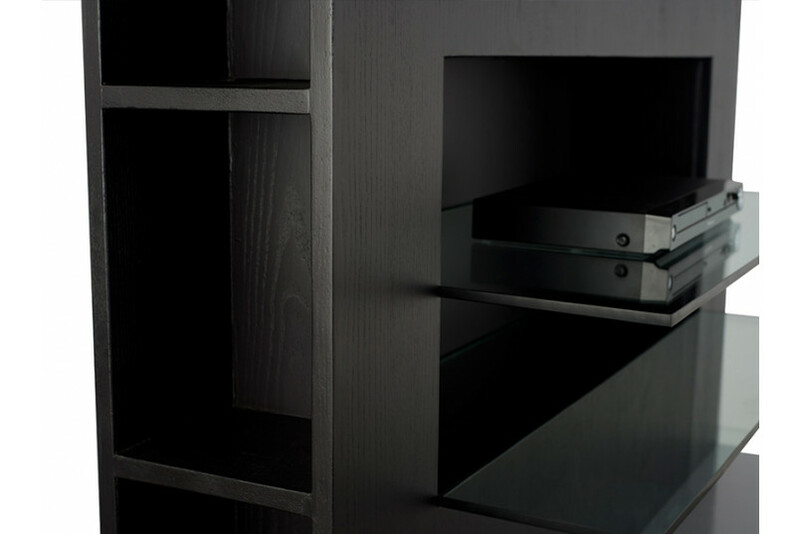 This free standing TV unit panel features a storage provision on the side profile for music systems and accessories. It is fashioned with glass panels, wooden frame with dark oak finish and matt stainless steel base. Perfect for small spaces, this TV unit can fit almost anywhere, and with the storage provided beneath, you can place your music system in it too.